The drive thru may be open 24/7, but breakfast is available only in the morning. 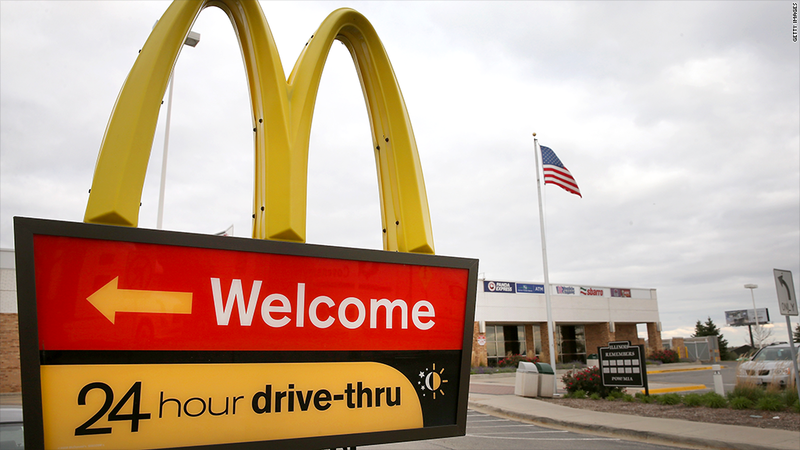 McDonald's and Taco Bell are cracking some eye-opening changes in the drive-thru lane. McDonald's (MCD), which has seen sales slump, said Monday it is considering expanding the hours it offers breakfast. And Taco Bell said its new breakfast menu will be available at its restaurants nationwide in late March. Breakfast at the home of the Egg McMuffin typically ends late morning. That's too early, the chain's U.S. head told the Associated Press in an interview. "We know, as an example, that breakfast on the weekend cut off at 10:30 doesn't go very well," Jeff Stratton said. The company is "just beginning" to reconsider how to best serve up the meal, he told the AP. But spokeswoman Lisa McComb said the Golden Arches doesn't currently have any active tests of different breakfast hours. Amid slipping sales, McDonalds has already moved to meet customer tastes. In the last year, it expanded the Dollar Menu and introduced the leaner egg white McMuffin sandwich. It said U.S. sales slipped 1.4% in the fourth quarter of 2013. Taco Bell, meanwhile, announced Monday that its breakfast menu rolls out on March 27. Options include the Waffle Taco -- a breakfast sandwich wrapped inside a waffle with a side of syrup -- and a bacon, eggs and hash brown version of its tortilla-based Crunchwrap. The menu also includes breakfast burritos, coffee and orange juice. The company said its "distinctive approach" would help it stand out in the crowded breakfast sandwich market. Taco Bell hasn't seen a sales slump, but its parent company, Yum Brands, has. Sales at Taco Bell grew 3% last year, while Yum-owned Pizza Hut and KFC slid. Breakfast wraps and sandwiches are already on the menu at Burger King, but the company said earlier this month it is testing a Chicken and Waffle Sandwich.